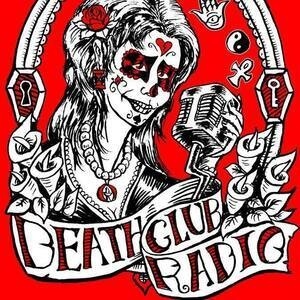 This is the live version of writer, storyteller, and hospice chaplain Alane Cameron Ford and Phil Ford's ground-breaking WRIR radio program DEATH CLUB RADIO. The show will have all of Alane and Phil's usual segments -- "Obituary Roundup," the "Daily Something Weird," and "Jack Johnson’s Hidden History" -- but will have new theatrical elements and you can ask questions from the audience about that most inevitable and mysterious moment in our lives. Host Alane Cameron Ford and her co-host Phil D. Ford are gathering their regular guests including a medical expert, a hidden historian and the "Death Club Radio Mimes on the Radio Players," along with new personalities and perspectives to teach about death in a lively and life-affirming environment.